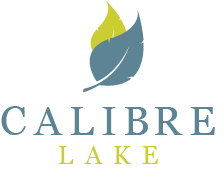 Are you a new resident planning on moving to Calibre Lake? Apartments are pre-wired for Charter Spectrum, yet you are able to choose any provider that can verify service to you. To connect Charter Spectrum, please contact 1-833-694-9256. Please contact the office if you plan to use a dish-type service in your apartment, as we do have some guidelines for mounting dishes. Consistently ranked as one of the best rail trails in America, the start of the fully-paved Silver Comet Trail is just 2 miles from Calibre Lake Apartments! That means it is convenient for anything from early morning runs to after-work bike rides. Best yet, this quiet, non-motorized, paved trail is free of charge, and perfect for casual fitness or competitive runners, walkers, hikers, bicyclists, roller-blades, skateboards, dog-walkers, and it is wheelchair accessible! But that’s not all. The Silver Comet Trail is one of the longest paved trails in America! While the trailhead is very close-by, it travels west for 61 miles through Cobb, Paulding, and Polk counties. And if you are feeling especially adventurous, take The Silver Comet Trail all the way to the Georgia/Alabama line, where it becomes the Chief Ladiga Trail, and then continues on for another 33 miles to Weaver, Alabama! You are sure to love The Silver Comet Trail…and Calibre Lake Apartments! We are so delighted to have such wonderful residents at Calibre Lake!! 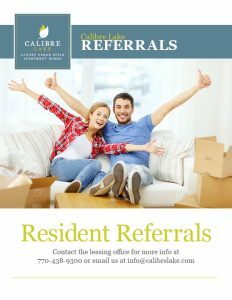 We would rather reward you, more than anyone else, with a cash bonus for referring your friends and family to Calibre Lake!